Click the button below to add the Padco 6 inch pad to your wish list. 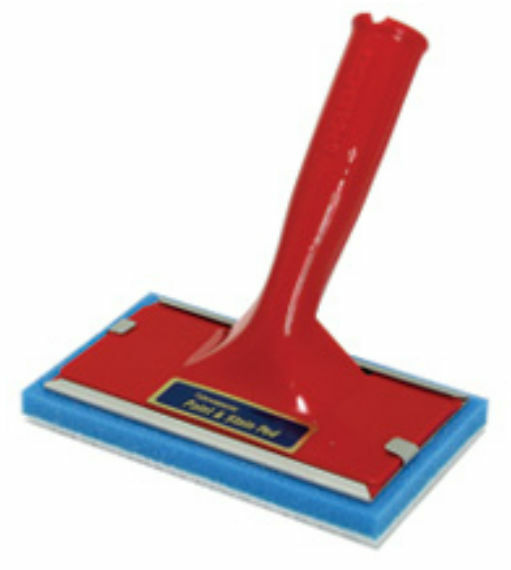 Padco 6 inch exterior stain pad and handle American Made. Stain surfaces such as deck rails deck, boards, fences, doors, cabinets, etc. Provides and smooth and even finish. The threaded handle on this painting pad fits all extension poles. The pad paints a fine, smooth finish. Faster than a brush. Use this pad with oil or water-based paints, stains, urethanes and sealers.